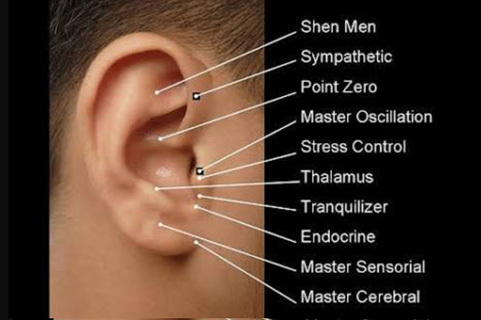 Auricular Acupuncture is diagnosis and treatment of health conditions in different areas of the body with stimulation of acupuncture points on the external ear surface. Wide variety of conditions, from headaches and allergies to addictions and pain disorders are treated efficiently by ear acupuncture. Dr. Paul Nogier, a neurologist working in France in the 1950’s laid the foundation of ear acupuncture. Dr. Paul Nogier, found that the ear holds all of the acupuncture points of the body plus more detailed physiological and anatomical correspondences and found that stimulation of these points was very effective in alleviating pain and other symptoms. In disease conditions of different part of body, part represented on ear, becomes tender and increases electrical activity. This makes auricular acupuncture a useful form of assessment of ailments and indicates pathology in the corresponding body tissue or function. Changes in texture, colour, skin changes, veins, etc., in different areas of the ear can be disease of tissues in body part. Ear acupuncture was promoted and expanded by Frank Bahr M.D. and physical medicine specialists in Germany over the next decades. Canadian neuroscientist Wilder Penfield proposed that ear has micro-system reflection of the body, consistent with the brain map. He found that maps of the body exist on the surface of sensory cortex of the brain. Similar brain map is also projected onto the ear with accuracy. Even though acupuncture evolved in China, the specialty of ear acupuncture was developed in Western Europe. While development of foetus, ear is the first organ to develop to its full size and is one of a few anatomical structures composed of tissue from each of the 3 primary types (endo, ecto, mesoderm) in the developing embryo. It become fully functional about 18 weeks after conception. The tissue of the ear is unique and has functions in addition to our sense of hearing. The map on the ear is in form of an inverted foetus with all the fine details of the anatomical, physiological, and emotional body represented. Needling the respective points on the ear may form protocol of treatment. Surgical stainless steel or similar disposable needles are used. Needles are inserted only millimetres deep into the skin. Alternatively Vaccaria ear acupuncture seeds or small ‘beads’, are often placed with adhesive plaster for longer stimulation. Children also can be treated with laser instead of ear ‘beads’. Stimulation induced in ear acupuncture travel through a specific part of the brain, the diencephalon, to the corresponding body parts. The body strictly obeys these commands because they come straight from the brain. 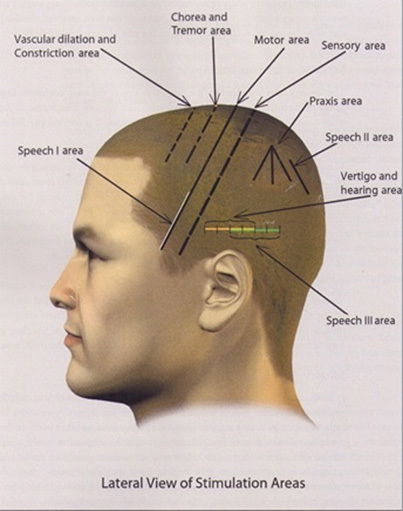 Ear acupuncture takes advantage of the brain, the body’s own control centre. Ear acupuncture is well suited to group treatment conditions faced in disaster settings. Survivors of traumatic events report ear acupuncture to be useful in alleviating symptoms of Acute Stress Disorder. Recipient surveys show increased mental clarity, ability to cope, alertness, ability to sleep, reductions of pain and muscle spasm, depression, anxiety, and intrusive recall. These simple acupuncture treatments can have a calming and transformative effect without requiring the traumatized client to talk. They can be in a state of extreme dissociation and still benefit. It has been used in thousands of programs around the world. Those receiving treatment do not have to wait to feel its impact, as relaxation generally occurs within minutes. You may notice relief immediately or take few days. You may also feel very relaxed. 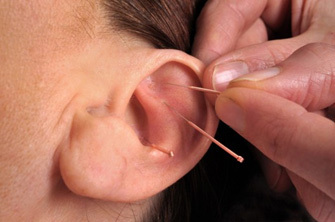 Ear acupuncture has established itself important place in addiction treatment programs. A set protocol developed for use in through the National Acupuncture Detox Association (NADA) has been very effective to help people facing enormous stress, anger, depression, fatigue and other emotional and physical pain. Treatment can be easily integrated into a wide range of settings hospitals, outdoor clinics, on a curb side, etc. Recently a volunteer group undertook stress management of earthquake affected people in Nepal with amazingly good results. Although the scalp has numerous traditionally-identified acupuncture points along several of the major meridians (notably the stomach, bladder, gallbladder, triple burner, and governing vessel), modern scalp acupuncture differs from traditional acupuncture therapy. Scalp acupuncture is frequently used in rehabilitation of paralysis due to stroke, multiple sclerosis, spinal cord injury, and traumatic brain injury. It has been proven effective in treating any type of paralysis, sometimes taking only one to two treatments for an amazing amount of recovery. Doctors have treated hundreds of paralyzed patients with remarkable results in the US, China, and Europe, allowing many patients to leave their wheel-chairs, walkers, crutches, and canes behind.